CASL Check here to receive communications, including emails, from Steeltown Ford Sales, Ford Motor Company of Canada, Limited and The Lincoln Motor Company** about them and their products, services, events, news, offers, customized ads and more. You may withdraw consent at any time. Low Mileage, Leather Seats, Bluetooth, Heated Seats, Rear View Camera, Memory Seats! We value your TIME, we won't waste it or your gas is on us! We offer extended test drives and if you can't make it out to us we will come straight to you! Receive a $1000 off when you finance this vehicle through Steeltown Ford. With carlike road manners, a quality cabin with plenty of passenger and cargo space, and an efficient engine, the Ford Edge is a sensible choice for a five-passenger midsize crossover SUV. -Edmunds This 2018 Ford Edge is fresh on our lot in Selkirk. Get the versatility of an SUV with car-like driving dynamics with this Ford Edge crossover. It has a smooth, comfortable ride with room for five and generous cargo space to boot. The well-crafted interior is appointed with quality materials and impressive technology. Thanks to its family friendly safety features, you can drive with confidence in the Ford Edge. This low mileage SUV has just 19897 kms. It's red in colour. It has an automatic transmission and is powered by a 245HP 2.0L 4 Cylinder Engine. This vehicle has been upgraded with the following features: Leather Seats, Bluetooth, Heated Seats, Rear View Camera, Memory Seats, Premium Sound Package, Power Tailgate. It has some remaining factory warranty for added peace of mind. Our Edge's trim level is Titanium. The Titanium trim adds some luxurious features to this Edge. It comes with leather seats which are heated in front, a memory driver's seat, SYNC 3 with Bluetooth connectivity, SiriusXM, Sony premium audio, a universal garage door opener, LED tail lamps, a foot-activated hands-free power liftgate, a rear view camera, and much more. To view the original window sticker for this vehicle view this http://www.windowsticker.forddirect.com/windowsticker.pdf?vin=2FMPK4K91JBB96828. Buy this vehicle now for the lowest bi-weekly payment of $255.82 with $0 down for 84 months @ 5.99% APR O.A.C. ( Plus applicable taxes - Platinum Shield Protection & Tire Warranty included / Total cost of borrowing $8564 ). See dealer for details. Family owned and operated in Selkirk for 35 Years. 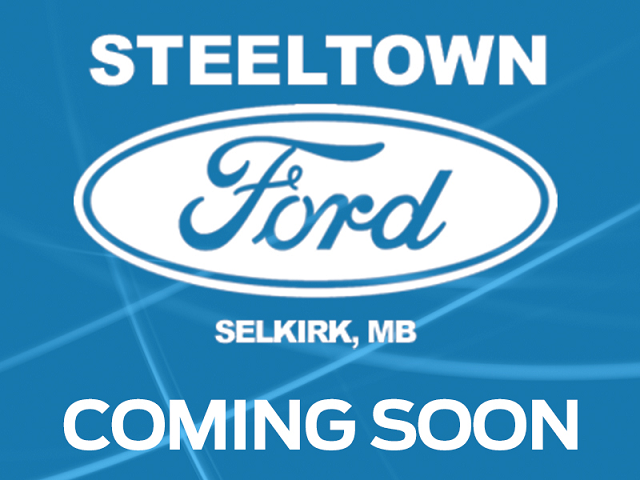 Steeltown Ford is located just 20 minutes North of the Perimeter Hwy, with an onsite banking center that offers free consultations. Ask about our special dealer rates available through all major banks and credit unions. Any vehicle under $10,000 financed will not qualify for the $1000 off.